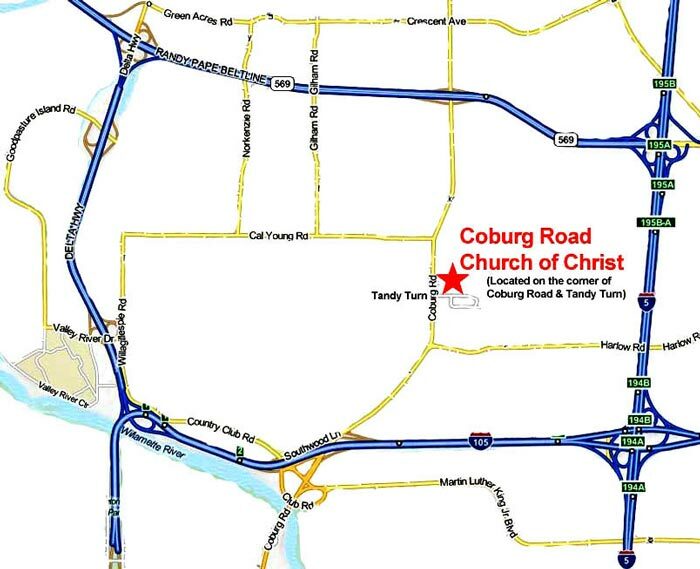 The Coburg Road Church of Christ is located at 1005 Coburg Road, on the corner of Coburg Road and Tandy Turn. "Our visitors are considered our honored guests, and can expect to be treated with warmth and respect." 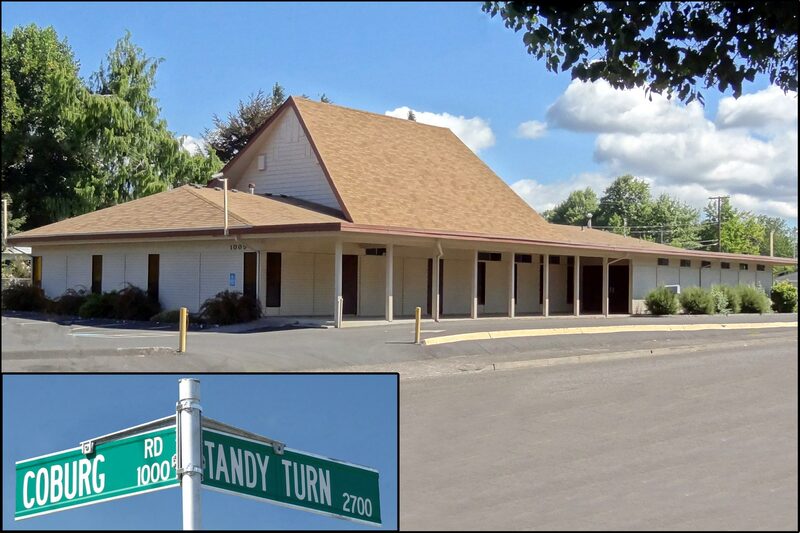 We are an independent local congregation of Christians who are believers in Jesus Christ, the son of the living God, as our Lord. We have been baptized into Christ for the remission of our sins upon a confession of our faith in Him. Further, this confession indicated our intent to live by faith through the teaching of Jesus Christ as contained in the New Testament scriptures. We recognize no head except Jesus Christ, no headquarters except heaven, and no creed except the word of God as revealed in the teachings of the Holy Bible. Our congregational efforts include regular assemblies on the first day of each week, congregational singing, prayers, partake of the Lord's supper, giving of our means, and studying God's word. We tolerate a wide range of differences among members in matters of personal opinion and human judgment about which God has not expressed His will in the scriptures. In all subjects upon which God has spoken, we expect members to be agreed to the extent required by our collective work as a team in those activities, and in accomplishing those works, which are enjoined upon local churches of Christ through the teaching of the New Testament.